Safai said he’s not the sharpest critic of Uber and Lyft, like others in San Francisco, but noted some city entities like the San Francisco Municipal Transportation Agency pointed to ride-hails as a source of traffic woes. That section states that no information furnished to the commission by a public utility “or any business which is a subsidiary or affiliate of a public utility, or a corporation which holds a controlling interest in a public utility, except those matters specifically required to be open to public inspection by this part” shall be open to public inspection. This sort of Ride Sharing Actually Causes Congestion theory doesn’t track at all with recent studies. A report by MIT researchers released in January, for instance, said a computer model-generated scenario showed that just 3,000 Uber and Lyft vehicles—when utilizing the services’ carpool methods—could replace all of New York City’s 14,000-plus taxi fleet. A new study published in the Proceedings of the National Academy of Sciences shows that 3,000 four-passenger cars could serve 94 percent of demand in New York City, while 2,000 ten-person vehicles could fulfill 95 percent of demand—and with an average wait time of just 2.7 minutes and a trip delay of about 3.5 minutes. To make this efficiency a reality, however, most passengers would have to use the carpool feature on their Uber or Lyft apps, requiring them to share their ride with others and make multiple stops along the way. That’s a hard sell, anyway, as Uber and Lyft’s carpool features aren’t generally liked by drivers or riders. 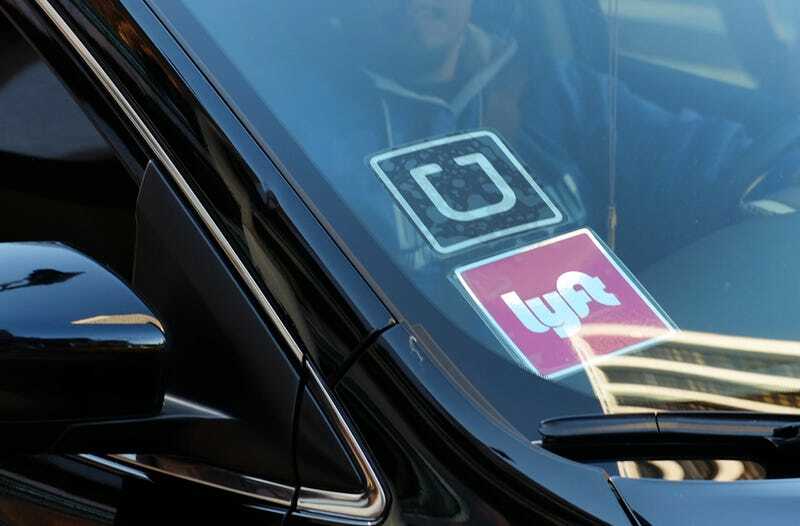 But as San Francisco’s situation shows, there’s also just a substantially higher amount of ride-sharing service drivers on the road, making it seem damn-near impossible that Uber and Lyft will ever lead to a reduction of congestion.